Protecting one’s valuable collector car is foremost on some people’s minds as much of the northern hemisphere (where Cars On Line is located) is preparing for the frigid grasp of winter. There’s no reason to let the cold weather stop you from buying a car this time of year though, especially if you know how to keep it protected over the winter months. 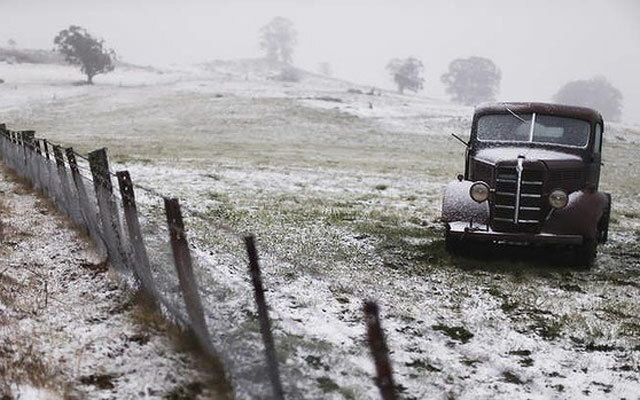 Here’s some steps for preparing your classic car for winter. Check with your insurance company. Some insurance companies will have requirements or policy discounts depending on the type of use your vehicle will get and what kind of storage you put it in. Be aware of your policies requirements before deciding on how to store your vehicle. Location. 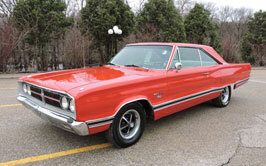 A dry, dark location with concrete floors is best for season-long storage of a collector car. Many of the steps to follow are aimed at reducing your vehicles exposure to moisture and this is the best start. You’ll want to use a plastic sheet under the vehicle and plywood under the tires if storing on a dirt floor. Wash/Wax: Protect your vehicles paint by giving it a good wash and wax immediately before storage. This helps to prevent scratches caused by dirt trapped between the vehicle cover and vehicle. Fuel: Make sure the tank is full to reduce condensation caused by air in the tank. Use premium fuel if possible and add a reputable brand of fuel stabilizer. This will prolong the fuel life for six months to a year. Run the car for at least 10 minutes prior to storage to work the stabilizer through the engine and burn off additional water vapor caused by startup. If you choose to start up your vehicle periodically during the storage term, ensure that it runs for at least 10 minutes each time. Fluids: Change the oil and oil filter. Check and fill the antifreeze. Tires: Fill tires with the correct amount of air. Keep it Fresh and Vermin Free: Place newly-opened boxes of baking soda in the interior and trunk. Cover exhaust pipes, air cleaner, air inlet and any other areas where bugs could enter the vehicle with aluminum foil or plastic. Secure with tape. Consider placing mothballs in the tailpipe and in the area surrounding the car. Close all windows and store with the top up if your vehicle is a convertible. Finally, place a car cover over the entire vehicle, preferably one that breaths so that moisture doesn’t get trapped within. Battery: There are two ways to protect your batter during winter storage. If your storage area has access to power, simply connect a battery tender. If you don’t have access to power, unhook and remove the battery (disconnect the negative cable first.) Store it separately, not on a concrete floor and somewhere not at risk of freezing. Uncover: Remove your car cover and inspect the vehicle for signs of animal/vermin infestation and for fuel leaks. Battery: If you weren’t using a battery tender, charge the batter to full before reconnecting. Attach the positive cable first. Remove Storage Items: Remove the baking soda, aluminum foil/plastic covers, mothballs and any other items placed on or within the vehicle when prepping it for storage. Brakes: Brake lines can rust out and are susceptible to vermin. Apply the brakes to be sure they’re still in working order. Suspension: Take the vehicle off the jack stands and ensure tires are aired properly. Start: Start the engine and check again for fluid leaks. After a warm-up period, drive slowly for about a mile to fully lubricate components that require driving. Check again for leaks and refill any fluids as needed.